Julio Valdez uses diverse material to generate paintings and mixed-media works that visually give form to memory and the human condition. 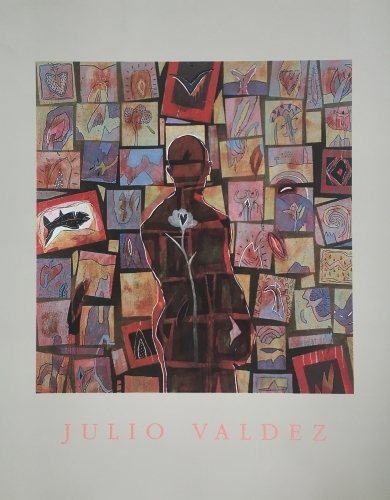 By employing various painting, collage, and printmaking techniques, Valdez is able to develop a unique pictorial language that evolves out of a combination of his intuition, imagination, experiences and memory. The artist studies the form and texture of objects that he finds visually appealing and uses them for the basis of a work of art. Many of these objects are stored away in his memory to be used as reoccurring motifs in future paintings.